This 1 bedroom 1 bathroom 1st floor unit is a gem! Nicely remodeled with tile floors, new carpet in the living room and bedroom, nice wood kitchen cabinets and upgraded tile shower. This is currently the only Fee Simple unit on the market. 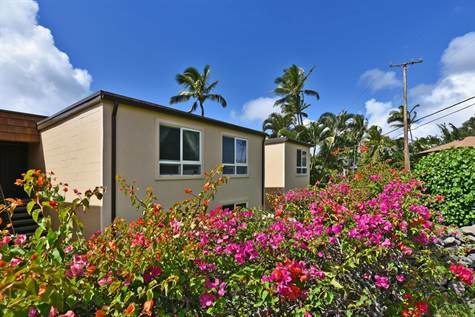 Napili Ridge is located steps to famous Napili Bay and is located on the green belt on the popular Hui F Road. The complex has recently undergone a beautification project with all new building facias, new windows, lanai railings, mansards, stairwell railings, soon to be new parking lots and electric upgrade. This unit is currently owner occupied and easy to show with a 24 hour notice.